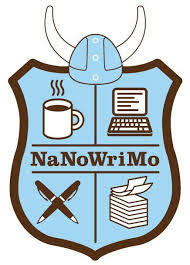 In honor of NaNoWriMo, I (Zach) wrote some python code to help you participate in this month of novel writing. The code below will read a text file online that contains a list of English words, then print out fifty-thousand of them for your brand new novel! myNovel = "Once upon a time,"
myNovel = myNovel + "." myNovel = myNovel + ". The End." I found out that changing that 50000 to something smaller, like 7, can generate some profound little stories. Take a look at this artistic gem, for example: Once upon a time, moneybag heinous jellybeans wifeless sweetbreads overheat. The End. Or even better, write a drabble! Paradiddles are difficult for beginners. When I was little, I asked a guy to show me a few things on the drum set. He showed me paradiddles. I didn’t practice them because they were hard and didn’t sound cool. Those are very good reasons for a kid not to practice something! There are more efficient ways of leaning the monotonous skill. 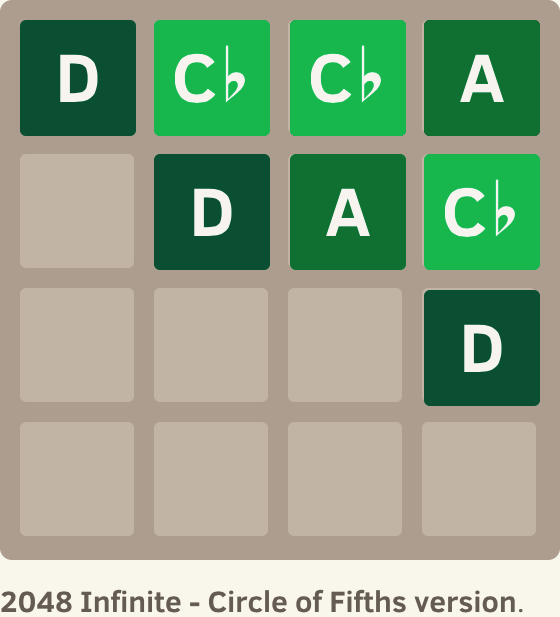 So I made a drum rudiment game that includes paradiddles. Rudiment Rock-It starts the player off with the single stroke roll. Back and forth; right to left. But there’s a rocket, and you want it to get to the top of the screen. Now there’s motivation to keep your taps even! Once the player has begun to develop this basic percussive skill, the drum rudiment game then directs the player towards the double stroke roll. Same story there. The player is motivated to keep their taps even. Something important to notice when learning these drum rudiments is that the single stroke roll and the double stroke roll form a paradiddle when put next to each other. The single stroke roll and the double stroke roll are the most basic patterns possible when you only have two hands to work with. Think about it. Two strokes and two hands. Either you do the same hand twice or you do one stroke with each hand. Important skills to learn on both sides of your body if you want to be a drummer! Paradiddles take the combination of these skills and cause a musician to think about the patterns on a higher level. This reinforces effective sticking reflexes and makes more difficult patterns easier to achieve. But achieving this ability doesn’t happen intuitively. 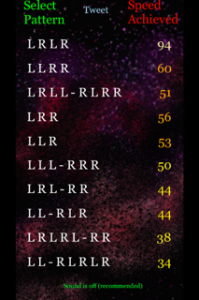 It used to be a rigorous and monotonous process of R L and L R and L L and R R and L R L L and R L R R. But now you can just play a drum rudiment game. You’re welcome. Don’t get excited. It’s a rare thing. Turning off the metronome is for professionals only. That is unless a professional told you to turn it off. If you’re a beginner musician, leave your metronome on. If you’ve been playing a while and can keep fairly steady time, this is where a metronome just might be holding you back from progressing. The traditional argument (and it’s a good one) is that if you can’t keep you part together with something predictable and solid, how are you possibly going to keep your part together with another person? That’s what Mommy told me in the 6th grade, and she was absolutely right. If you can’t keep it together with a metronome, you can’t keep it together with anything. But once a musician gets to a certain level of time keeping proficiency, there is a time to set it aside. There’s another aspect to metronome practice that can actually hold a musician back; aligning your body with itself. The metronome is an external thing that each musician internalizes in order to all be on the same page. Each beat should be exactly as far away from the previous one so that everyone agrees on when to play the next note. But there are tiny details that have nothing to do with the metronome that get overlooked. Details that occur between each note outside of the pulse and they must occur in a certain sequence in order to be correct. For example, On a woodwind instrument, the throat position must change a split second before the fingers. Otherwise the next note will have a weak and anemic attack. A metronome might get in the way of learning this technique. 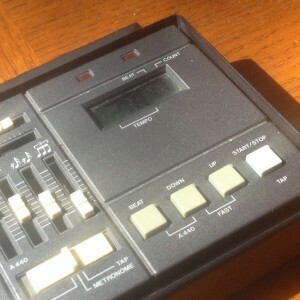 Drum rudiments should almost always be practiced with a metronome. But there comes a time when a percussionists weaker hand becomes conditioned to be satisfied with not being as powerful. Their single stroke roll becomes permanently swung. Their double stroke roll is sloppy with a consistent decrescendo between the four taps. A metronome hides that defect from a student. Yes, leading left helps, but it doesn’t fix all of the problems. At some point, the parts of a person’s internal striking mechanism must be aligned to itself. A metronome will get in the way. Turn it off. Play the singly stroke roll slowly. Speed it up. Slow it down. Let yourself go into a sort of trance by focusing on the sound you’re making. Play at speeds you are comfortable with until you can’t figure out which hand is making which sound. Do the same with the other rudiments. You have already internalized the symmetrical proportion of time. You have mastered it. Trust your intuitive judgment, turn off the metronome, and efficiently make your weak hand stronger. Then turn it back on to see how much faster you’ve become in the past five minutes. It works, I promise. Thanks to Rudiment Rock-It, beginners can now use this technique too. Teachers need not be worried about students developing bad habits. 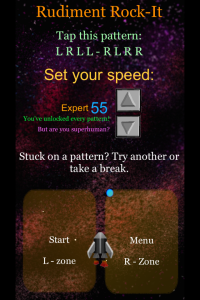 The game allows the player to speed up, but keeps track of the time passed between each tap. If the player becomes unbalanced in their timing, the rocket crashes and they lose. But before they crash, the game gives them a chance to slow down and regroup to try to win. 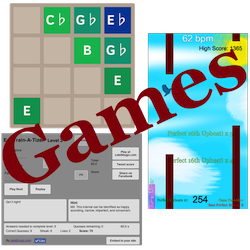 So the gameplay encourages perfect and efficient practice without a metronome. There has never been a more fun or efficient way to learn the basic rudiments of percussion. This game is so efficient because it applies this theory of a metronome getting in the way of a musician’s body aligning with itself. Instead of an outside force beating a student into submission, the game tells the player what their striking mechanism is actually doing. A persons hands align themselves to each other without needing to think about the outside influence of a metronome, and one problem can be dealt with at a time. Practicing with a metronome still solves the majority of timing problems. However, any problem that has to do with a person’s body sequencing events with itself might be better dealt with using alternate methods. When talking about the adjective versions of each word, it quite obvious what the difference is. When something is offbeat, its strange or unseemly. A search for the word yields synonyms such as “funny” and “weird.” Upbeat is peppy and cheerful! Ambiguity of either makes for some cheeky musical humor. Upbeat is more specific. An upbeat is always an offbeat, an offbeat is not necessarily an upbeat, an upbeat is never offbeat, and offbeats are rarely upbeat. Upbeat refers to a moment as far away from two downbeats as possible. Tap your foot. Clap. Tap again. Clap. Tap. You’re clapping upbeats (unless you’re offbeat). Sometimes upbeat can also refer to the imaginary offbeat an upbeat conductor gives to give his offbeat musical group to come in on the downbeat (or sometimes the next upbeat if the offbeat group is playing very upbeat music). 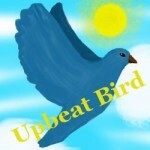 On that note, take a look at Upbeat Bird which is only as off the beat as you make it. 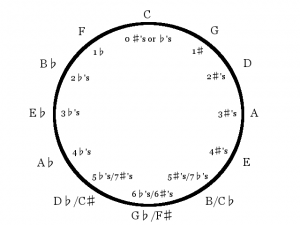 The Circle of Fifths can be considered a tone row. Cool, huh? One of the defining concepts of the tonal system when written in a score turns out to be atonal. It’s an oxymoron, really. A tonal tone row. Atonal tonality. Consonant dissonance. A never-ending resolution. The beauty of the paradox is unending. Now, before anyone decides to be a Smart Aleck, yes I know that when you invert a fifth it turns into a fourth and that my example has fourths. But since this is atonal music, we are dealing in pitch classes, not in intervals. 🙂 I win. Since the first example is played rapidly, it is perceived as sounding random. Yet at the same time it is symmetrical; perfectly ordered and balanced. That’s the touch of tonality leaking into the sound. We just can’t fully get away from it! Let’s try a bunch of notes together without using orchestration to change how it’s heard. Pretty much the same effect. Now lets try changing the orchestration and the number of notes we hear at one time. We can trick the ear into hearing tonality. We were certainly able to drive that F to resolve to the E. Not very tonal, but we were able to get enough emphasis on a single pitch the make some of the original serialists not approve (Webern, anyway). Let’s see if we can sound like Berg by using rhythm to reach into tonality. Still Serialism, but we are certainly getting dangerously close to tonality! Now let’s do a little repetition and break from the serial idea entirely. I could listen to stuff like that all day! All 12 pitches were used many times using the contour of the circle of fifths, but we were definitely in C. The reason it sounds so different is that the pitches are separated into musical ideas over time instead of just thrown at the ear all at once. It’s also why we can’t call it serialism, but it’s still the circle of fifths! And now for a little hop to the total opposite side of the style spectrum. And that’s how to serialize tonality. I hope you enjoyed my little tone row based compositions! To hear the circle of fifths paradox over a very long period of time, try 2048 Infinite – The Circle of Fifths. It’s as fun as it sounds.